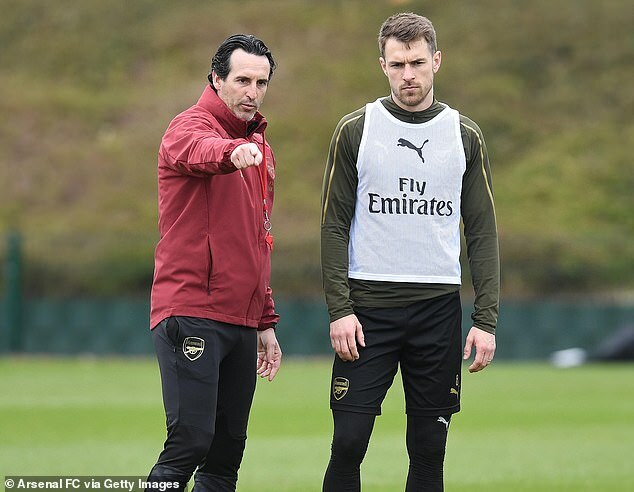 Arsenal head coach Unai Emery has urged Aaron Ramsey to make an important contribution during his final weeks at the club. Ramsey has signed a pre-contract agreement which will see him join Juventus in the summer but before then the Wales international is determined to make a major impact for Arsenal, the club that he has represented for the past eleven years. Emery praised Ramsey for his ‘very amazing attitude’ in a difficult situation. As reported by The Mirror, Emery said: ‘It’s not easy for him after he signed for Juventus but his focus is to help us and his attitude is a very amazing attitude towards each training session. ‘I continued speaking with him about doing something very important in the last matches here in two competitions that are very important for us. Ramsey has been among the goals for Arsenal recently – he scored against Napoli in the Europa League and was also on target against Newcastle in the Premier League. Arsenal are looking to win the Europa League and secure a top four finish in the Premier League, with their ultimate aim being to return to the Champions League next season, where they could come up against Ramsey and Juventus. 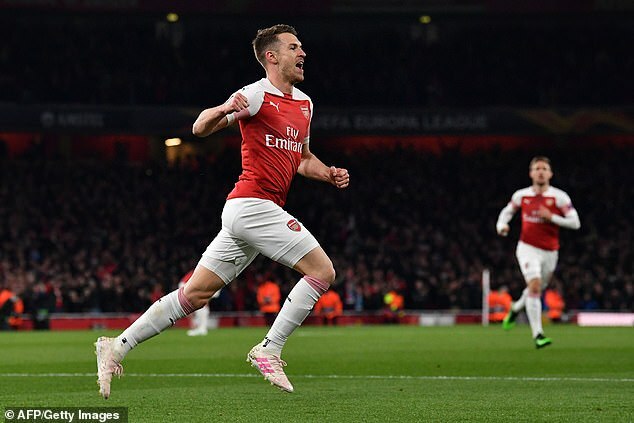 Earlier in the season Ramsey found it difficult to command a regular place in the starting lineup under Emery, but as the campaign has progressed the 28-year-old has become an increasingly important part of the Spaniard’s plans. Arsenal face Watford away in the Premier League on Monday, with Emery’s side seeking to improve their disappointing form on the road – they have won just five out of 15 away matches in the top flight this campaign. Ramsey has won three FA Cups during his time at Arsenal and scored the winning goal in the 2014 and 2017 finals against Hull and Chelsea respectively.